You thought you were living in a paradise, until your roof started to leak during the rainy season. 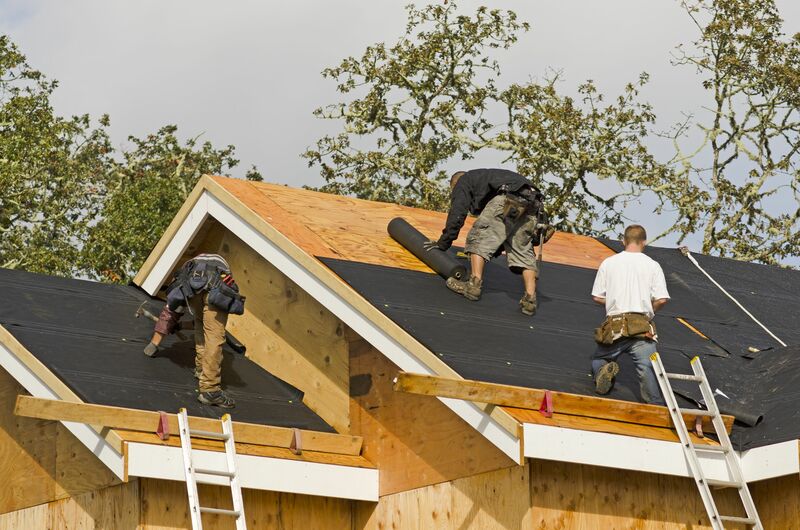 As you quickly figured out, the roof is a very important part of a house, as it protects us from rain, wind, hail, snow, debris, ice, and much more. Remember, only a good roof can endure all this, and so your house should have the best roof. You can opt for shingle roofs, as they are cost-effective and come in an array of shades and styles. These roofs are made of asphalt, reinforced with fiberglass matting. In the current scenario of rising inflation, prices of commodities are also steeply rising; hence, to get the best bid, compare the offers submitted by two to three contractors, and then select the one that suits you the best. Most of these shingle roofs last for a couple of decades, but there are certain categories which come with extended warranties of up to 40 years. Of course, you need to shell out more for longevity of the roof. Over the long term, even if you want to sell you house, a good quality roof can fetch you a good price. You may also go for metal roofs, known for their durability and fire resistance. Earlier, roofs made of steel and other metals were preferred for factories and other business establishments, but with growing consumer awareness, many homeowners are going for metal roofs. Most interestingly, metal roofs can also reduce your premium for property insurance. Finding the best roofing material isn't that difficult. All that you need to do is look around for all possible options, compare them for features and costs, and then select the best one. Just keep in mind a few measurements such as the size of each room in your house section-wise, width and length of every section, and then add them up to determine the number of shingles. Divide the number obtained by 100, and add 5-10% to the sum total to cover eventual repairs and wastage. Once all is set, it takes no more than a few days to lay the roof in case of an average-sized house. Finally, just make sure that you have appointed a good team of workers to remove the old roof of your house and fix the new one. Sit in peace now, for you have secured your haven for the next 40 years!